Homeopathy treatment for osteoarthritis – is it a good option? Is pain in the joints limiting you to move around for your daily activities with your increasing age? Are you feeling that you are turning old due to your joint complaints? If yes then your joints are in the process of wear and tear as a sign of aging process. It means probably you are suffering with osteoarthritis. 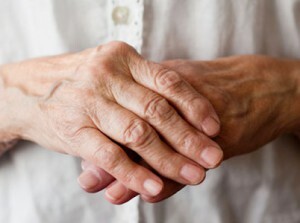 Everyone has to go through aging process but few with risk factors may suffer with osteoarthritis. Osteoarthritis (OA) is a degenerative joint disease which leads to pain, stiffness and limits the joint movement and involves wear and tear of cartilage. It is most common form of arthritis affecting people after the age of fifty but can occur in early age as well. Osteoarthritis can affect any joint in your body, but commonly affects joints are knees, hips, small joints of hands and feet and spine. Stiffness and pain is usually the first symptom experienced by the patient. The pain increases on doing weight bearing activities like climbing steps, walking long distance, getting up from sitting position. If joints of hands are involved there may be difficulty in clenching fist, holding things and difficulty in tasks which involves use of fingers. If spine is involved then there would be back pain and stiffness. As the disease progresses and as the cartilage wears down, the bones on either side of the joint may react by forming small bony outgrowths called osteophytes. Your doctor may prescribe you Analgesics, anti inflammatory’s or corticosteroids depending on stage and severity of your disease. Physical exercise, weight loss and few external application therapies can help you to reduce the pain and can prevent the progress of the disease in early stage of the OA. How homeopathy is a good option in OA? Homeopathy is a holistic science of medicine. Your mental state, triggering factor for your disease, your physical tendencies are considered while prescribing the homeopathic medicines. It heals the disease internally and improves the immune system to support the healing process. In initial stage of osteoarthritishomeopathy can be very beneficial in reducing the pain, swelling and stiffness of joints. It can prevent the further degeneration and slows down the disease process. In advanced cases of osteoarthritis, although homeopathic medicines cannot revert the degeneration that has already taken place in the cartilage of joints but definitely helps in slowing down the progress of cartilage degeneration. It reduces the intensity of the pain swelling and stiffness and reduces the dependency on pain killers. It improves the mobility of the affected joint. The homeopathic remedies for osteoarthritis are completely safe without any side effects. It improves the quality of life of the patient as it improves the range of motion of the affected joint as a result patient can move around freely and perform his daily activities independently. Hence homeopathy is the most effective treatment option in the treatment of osteoarthritis.